Holy Cross Book Club - Holy Cross Orthodox Church has not. Calling all men and women of Holy Cross! The sisterhood is sponsoring a new club and joining forces with the brotherhood to create the Holy Cross Book Club for men and women! We will meet every 3rd Sunday starting on October 18th from 6:30-7:30pm in the parish hall (eventually moving to St. Raphael house when it's ready). 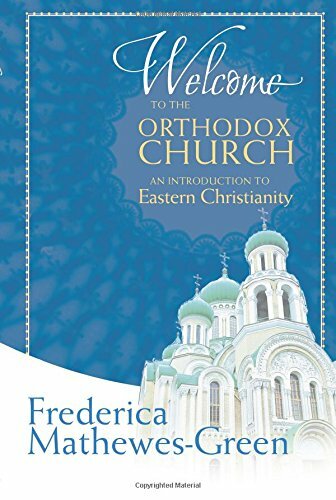 Our first book will be Welcome to the Orthodox Church by Khouria Frederica. Not just for newcomers, it is a book with much to offer for lifelong Orthodox and all of us in between. We'll have coffee (including decaf) and an evening snack -- please feel free to bring what you would like. If you'd like to grow in your Orthodox faith through spiritual reading, then this is for you! Come and join us for relaxing fellowship and thoughtful discussion of the one thing needful.